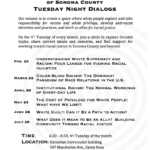 Racial Justice Allies facilitate dialogs with community in Sonoma County. 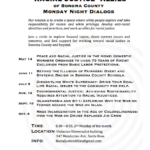 Below is an archive of past events hosted by RJA. Do you have an event topic idea, or a request for information about a past event? Contact us here. For info on upcoming events, go to our Facebook Events page. 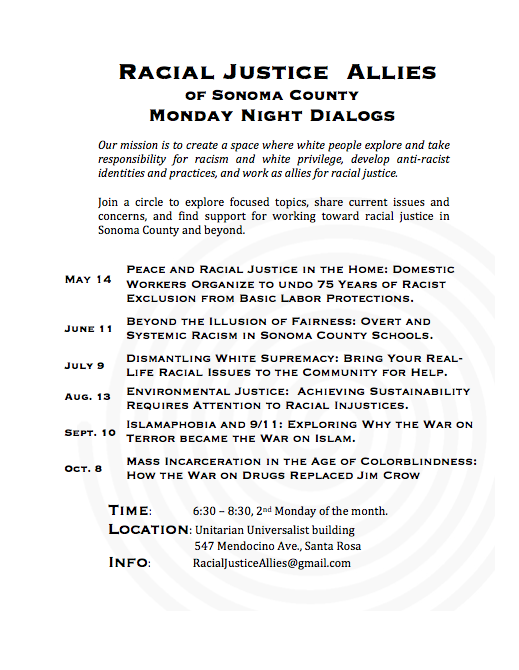 September: What does it mean to be in solidarity with non-white communities fighting against police terror? January: Passivity or takeover? Navigating white leadership in multi-racial groups. February: Islamaphobia, Arab Spring, War on Terror: looking through the lens of whiteness. 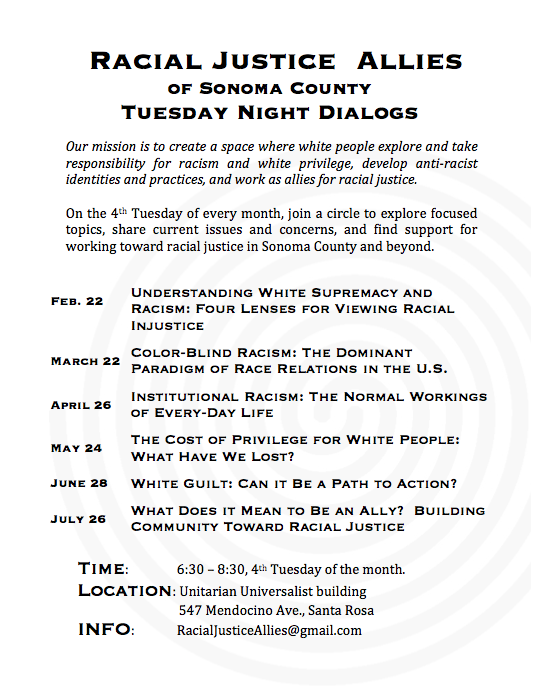 March: What role can white folks take in local immigrants rights struggles? How are whiteness and immigration entwined? 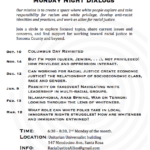 July– What does it mean to be an ally? 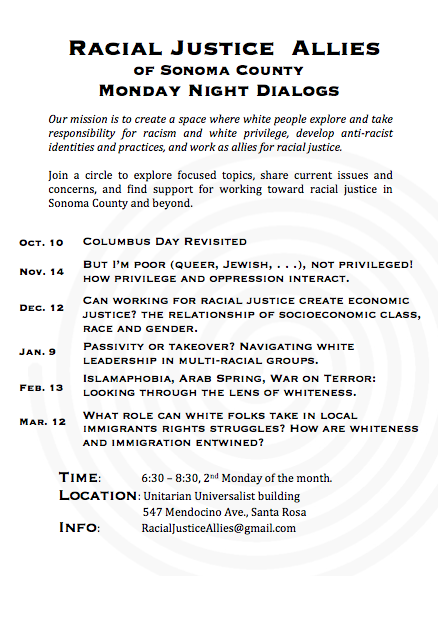 December – Can working for racial justice create economic justice? the relationship of socioeconomic class, race and gender. Started in February, ongoing once per month.